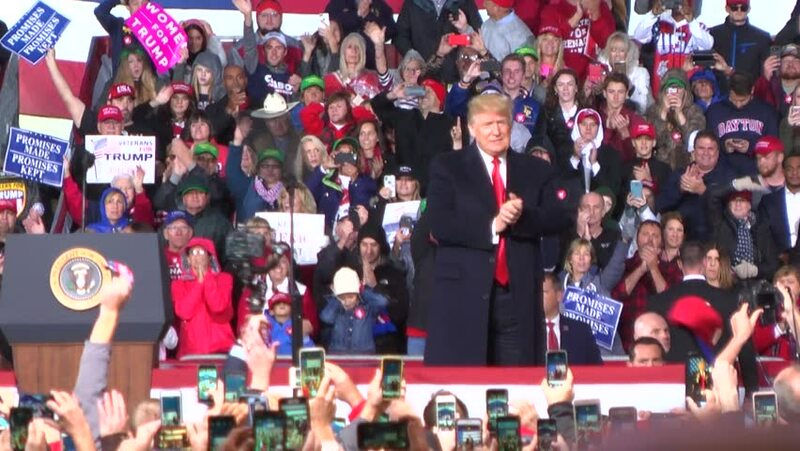 LEBANON, OHIO, USA - OCTOBER 12, 2018: President Donald Trump takes the stage at a rally at the Warren County Fairgrounds in Ohio. hd00:11ROME, ITALY - MAY 1: People during free "Concerto del Primo Maggio" ("Workers' Day Concert") in Piazza San Giovanni (San Giovanni Square) on Workers' Day, May 1, 2013 in Rome, Italy. hd00:12BALI, INDONESIA - APRIL 2016 : Kecak Dancers and their performance on stage. 4k00:18STOCKHOLM, SWEDEN, MAY 2016: Crowd of people clapping hands together doing meditation yoga together in public place in Indian cultural festival in Stockholm on 21 of May. hd00:42LEON, SPAIN - MARCH 2017. Soccer fans. Supporters of Cultural y Deportiva Leonesa. Soccer match between Racing and Cultural (Spanish League).